A stalker husband has been jailed for 12 years for trying to kill his estranged wife by driving his car into her four times. 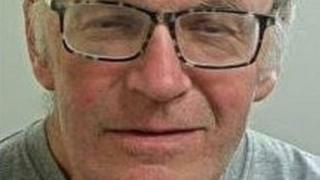 Mark Gibbons, 62, pinned Dr Julia Woolgar against a wall on 23 May in Ormskirk, Lancashire, Preston Crown Court heard. Hearing her screams, a passer-by smashed the car window and pulled the keys from the ignition to stop him. Gibbons, of Bold Lane, Ormskirk, admitted attempted murder. He also pleaded guilty to assault causing actual bodily harm and breaching a restraining order. Gibbons had previously been convicted of stalking Dr Woolgar and had only been issued with a restraining order five days before he tried to kill her, said Lancashire Police. Dr Woolgar, 62, suffered injuries and severe bruising to her lower body when Gibbons' car mounted the pavement on Aughton Street and hit her. Police said two men "bravely" went to her aid with one picking her up from the ground while the other snatched the car keys. Dr Woolgar was treated in Merseyside's Aintree Hospital while Gibbons was arrested at the scene. Det Con Jo Collinson of Lancashire Police said it was a "miracle" she escaped with minor injuries and praised the two passers-by, who later received police bravery awards. She added: "I have no doubt that their quick thinking and selfless actions helped to save her life." Gibbons was also given an extended licence of three years and banned from driving for 18 years.